The Val de Loire is a country wine appellation now known throughout Europe as an IGP (indication géographique protégé). It refers to wines made in the large geographic region of the Loire Valley and does not have any strict rules about grape varieties or production techniques. As such, several producers use this freedom to blend grape varieties or appellations from 14 different departments together. The production area extends eastwards for 560 kilometers from the coast at Nantes to the Auvergne hills in central France. Most wines with the Val de Loire appellation are single varietal wines and are labeled as such. They mainly use the Loire Valley grape varieties such as Sauvignon Blanc, Chenin Blanc, Melon de Bourgogne, Gamay and Cabernet Franc although Cabernet Sauvignon and Chardonnay are increasingly being used. 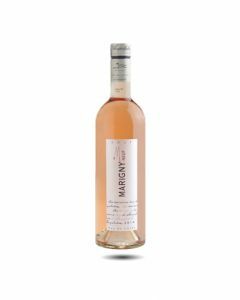 A rosé made from 60% Gamay, 20% Cabernet and 20% Pinot Noir grapes, grown in Vienne between the Loire Valley and Poitiers. This is an organic wine, produced with great care including two days cold maceration followed by five months ageing on the fermentation lees to add roundness and complexity to the wine. A fun loving wine with notes of guava, red currant and cherry with a creamy texture, this rosé loves being paired with salads, pizza and sunny aperitifs accompanied by big smiles and giggles. Serve chilled and enjoy now or for the next two years. One of the first wines made by Frédéric Brochet who has now expanded his domaine just north of Poitiers to include a complete line of varietal wines. His Marigny-Neuf Sauvignon Blanc remains his best seller and is grown organically in limestone and silex soils. The wine has a very pure, light yellow colour, very good citrus fruit characteristic of the Sauvignon Blanc grape which is complemented with notes of boxtree, mint and wild flowers. Good energy, precise acidity and lovely fresh structure bring out the attractive aromas in this wine. Serve with shrimps, oysters and of course goat’s cheese. Frédéric Brochet loves Pinot Noir. This talented winemaker learned to make pure, fruit driven wines in Australia. He has planted the grape right in front of his headquarters at the Manoir de Lavauguyot looking south towards Futoroscope and the hills of Poitiers. This wine is organic, lively and pure with notes of kirsch, walnut and sweet spice on the nose. The taste is smooth and fruity with smoky notes and a lovely crunchy, acidity. 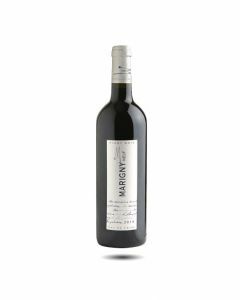 Macerated on the skins with gentle pigeage to produce the ruby red colour and aged in French oak barrels for six months, its freshness and silky tannins make this a good match for poultry, salads, Porc filet mignon and all sorts of cheeses. Serve slightly chilled.